The Vision X LED XP Rock Lights feature 9 watts per pod of ultra bright style lighting. 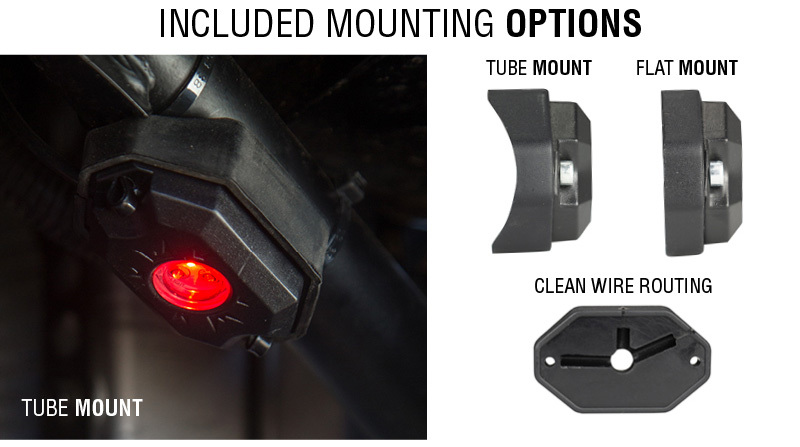 Offered in a Universal Single Pod, 4-light 36 watt kit (UTV or Small Vehicle) or 6-light 54 watt kit (Truck or 4-Door Jeep), each comes with a flat mount and tube mount base for each pod to aid in easy installation. Available in 5 single colors (No Remote Included), and a Multi Color Kit which easily changes color at the push of a button with the supplied remote control. The included control box allows for easy connection and wire routing without cutting and splicing each pod lead. Includes 4-Year Standard Warranty.